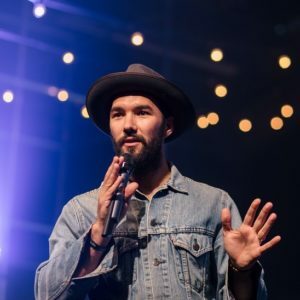 Simon Gibbes has served as the Young Adult & Student Pastor across Hillsong Church in London for over 4 years, a ministry he pioneered encompassing camps, conferences and weekly programs which reaches hundreds of Young Adults and University students every week. Following on from this he pioneered and served as the Campus Pastor of Hillsong Church in Bermondsey, a start up campus which grew exponentially in it’s first year from just 100 people to 1500. It reaches thousands of local people in the deprived area of Bermondsey each week. Simon interned at Hillsong Church London with Lead Pastor Gary Clarke, and in recent years also formulated ‘in-house’ courses such as; financial freedom, single & dating, marriage 101 and new Christian integration course, engage. He is a sought after speaker, known for his genuine and fun communication style. Simon is passionate about leading people to Jesus and helping them discover who God has designed them to be. He has been married 4 years to his wife Jessie.